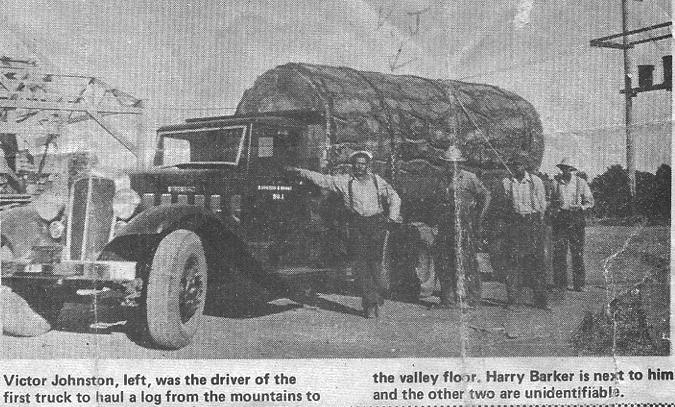 Editor’s note: This article was sent to us by the grandson of the driver of this truck. 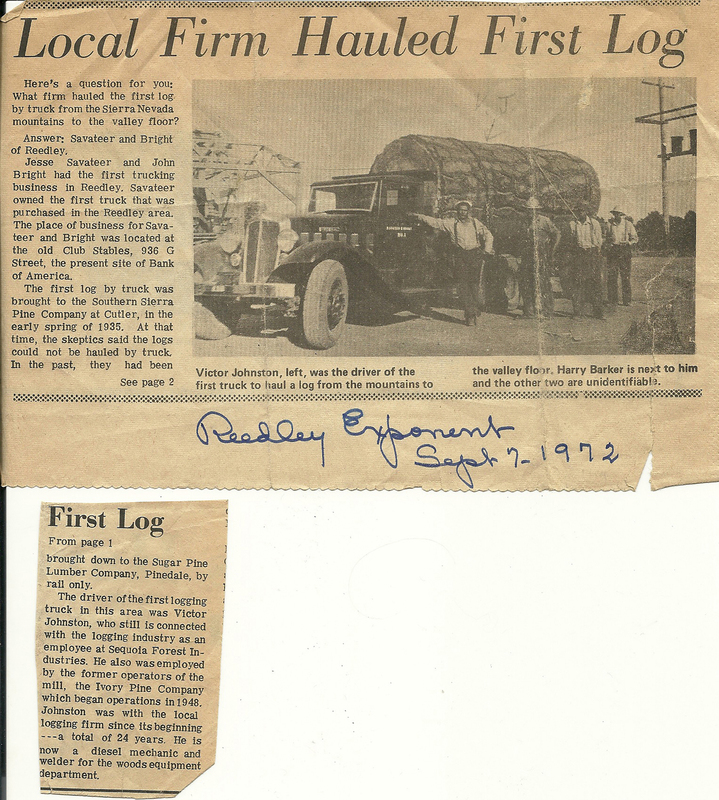 We don’t know for sure that this was the first log coming from the Sierras to the Valley, but it certainly could be, and we have no reason to believe it’s not. I’ve put this in as the newspaper article because I wanted the viewer to see the article as it appeared in the Reedly newspaper. First I have an improved image of the truck. A friend of mine did the improving as he is a truck man and can’t resist improving them.